We've just taken in a very nice, 2013 Subaru Impreza 2.0i Premium and it's a great opportunity for you if you're looking for a solid vehicle with lots to offer. It is Ice Silver Metallic in color and a Black cloth interior. It has just 58,360 miles and AutoCheck shows just two previous owners and no accidents. The foundation of this is a 2.0L engine, which pairs up with a CVT automatic transmission, getting you improved fuel economy rates of 36 MPG! Plus, Subaru is a leader in All-Wheel-Drive technology so the Impreza boasts one of the best systems in it's class! Plus, the interior and exterior are in very good condition. The 2013 Subaru Impreza comes standard with Bluetooth, iPod/USB connectivity, an auxiliary jack and steering wheel controls. Standard features for the Premium include 16" Alloy wheels, full power accessories with keyless entry, a 6-speaker audio system and more! 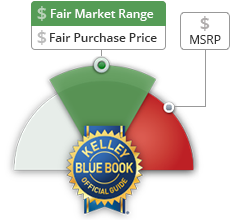 Here at HUEBNER CHEVROLET SUBARU we make sure to put every used vehicle through an extensive 100 Point Safety Inspection so you can buy and drive with peace of mind. This is a sharp looking car that you will LOVE to drive. Come in and take this 2013 Subaru Impreza for a test drive and see if you aren't just a perfect match!